I often hear people saying that Halloween is not a traditional British holiday and we should stick to Bonfire night on the 5th November. Now don’t get me wrong. I am a keen fan of Bonfire night – celebrated ever since the 1605 Gunpowder Plot failed and next weekend I will be at a firework display like many people. I will enjoy the huge bonfire, watch the fire work display and eat my share of hot dogs, BUT people are WRONG in believing that Halloween is not a traditional British event. 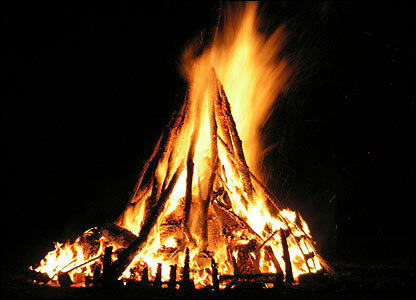 Indeed the origins of Halloween are older that Bonfire Night. OK – confession time. Halloween is not an OLD English tradition. The Saxons did not make much of it. BUT then again the ancient Saxons were Pagan and neither Celtic NOR Christian. It from those roots which became eventually blended in the British make up from where Halloween comes. So the English did not once upon a time celebrate Halloween but eventually Britain came to. So why do we celebrate Halloween? The Romans used to hold a festival remembering their dead in October. They also had a festival for the goddess Pomona who was the goddess of trees and fruit. This the Halloween idea of apple bobbing is probably a Roman tradition. When they came to Britain they found the locals celebrating Samhain and blended there own festivals with it. Halloween is on the eve of a Catholic festival, All Saints (1st November) and also on the eve of the pagan Celtic festival known as Samhain. So as with many other festivals (Easter and Christmas for example) this celebration sees pagan and Christian celebrations mixed together. In 835 the Church made 1st November a church holiday to honour all the saints. It became customary to pray for the dead on this date. Another name for All Saints Day is ‘All Hallows‘ . 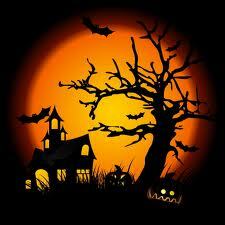 Halloween comes from All Hallow Even, the evening before All Hallows day. Meanwhile the ancient Celtic festival of Samhain was thought to be the start of the year marking the end of Summer and the beginning of Winter. It was the very start of our journey through the dark winter months from which Yuletide (Christmas) would give us a respite almost 2 months later). The Celts believed that on this night spirits were most likely to be seen on earth. They built bonfires to frighten the ghost away. As we now know in England, November the 5th eventually became Bonfire night but Halloween and Bonfire Night have a common origin. Fire scares away the ghosts and gives us comfort as the darkness gathers. 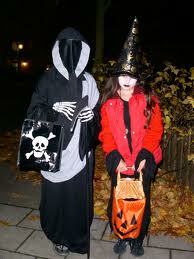 Again British folk sometimes say that Trick or Treat is an American tradition. BUT this may well originate from a custom called souling. People would make house calls begging for soul cakes. In exchange for a cake they promised to pray for the donors’ deceased relatives. Perhaps this is where Treats come from. On the 4th of November in the North of England folk would often celebrate Mischief Night and children would play practical jokes on their neighbours. The earliest reference to the night is from 1790 when fellows of St John’s College, Oxford, studied “an Ode to Fun” which praised children’s tricks on Mischief Night . 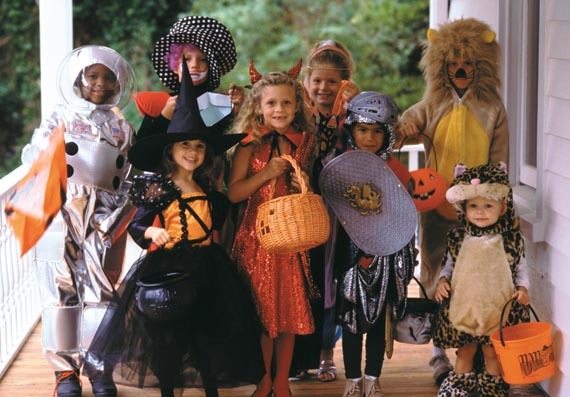 Once Mischeif Night was in May but was moved to 4th November and later may well have been the origin of the ‘Trick’ part of Trick or Treating. OK Pumpkins are American. BUT the idea of carving lanterns is not. In England people would use Turnips. Later the American Colonists found Pumpkins easier and as they are bigger than turnips they made better lanterns. Here again the idea of dressing up has ancient roots. The Celts believed that spirits of the dead came back to earth. If you have reason to be out on this night it was safest to LOOK like a ghost. 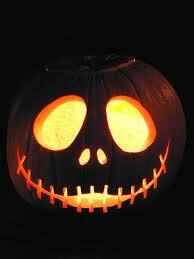 So if you are out trick or treating, carving lanterns or just dressing up – you are part of ancient traditions. So HAPPY HALLOWEEN everyone.